Ever wonder why you crave certain foods over others? Perhaps you love a juicy steak, or you get all giddy at the sight of a bountiful salad. Maybe sweets are your thing? Bottom line: we all crave certain foods. Turns out there’s a reason for that! In fact, according to scientific evidence, our bodies crave certain foods based on our DNA. So next time you get down on yourself for reaching for your guilty pleasure— you can actually thank your genes. There’s more too it than that though, and GenoPalate is revolutionizing the way we eat with genetics-based testing. Honestly, food has a huge influence on how we feel. Sometimes we think we’re eating healthy, but that doesn’t necessarily mean we’re eating foods that are right for our body. That’s where the science behind GenoPalate comes in to reframe our thinking about eating, and help us choose foods that are best suited to our bodies. GenoPalate uses clinical research and population studies that connect health and nutrition genomics. In a nutshell, they analyze genetic markers in the body to customize nutrition according to your genetic needs. The genetic results recommend nutrients and foods that would most benefit your body. You’ll also get a quick crash course in genetics and an “Eating For Your Genes” guide. Here’s how GenoPalate can help you fill your plate with what your body needs. GenoPalate will send you a DNA kit and you’ll send back a tube with a little saliva for them to analyze. GenoPalate analyzes over one hundred genetic markers that are linked to vital nutrients we eat everyday. The test also combines your custom genetic results with over 3 million nutrient variables. What does that mean? Well, with that information GenoPalate recommends specific foods that your body will benefit from eating. Bonus: If you’ve already taken a 23&me or Ancestry DNA test, GenoPalate will use your existing data to generate a report in 2-4 weeks. Not only is this extremely convenient, but it shaves a cool $100 bucks from the price tag. After 4-6 weeks for DNA kits or 2-4 weeks if you already have your existing data, GenoPalate will send you your full custom DNA report and “Eating For Your Genes” guide. In this extensive report you’ll learn exactly what you should be eating or avoiding. This information includes how your body responds to fats, carbs, sugar, and more. I was actually very pleased with my results and felt they were pretty spot on. I have done A LOT of work on finding my perfect diet over the years and for the most part GenoPalate aligned with what I have learned works with my body and not. 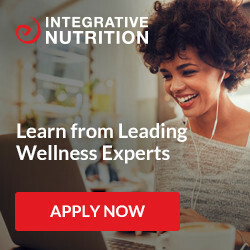 It is great to have another tool on the market to simplify a complicated process of finding what foods really make your body thrive. Once you have your custom DNA report, you can literally take it with you to the grocery store as a guide for what to buy. For example, say you usually stock up on a certain kind of protein. GenoPalate gives you information about which protein matches best with your genetic markers. This could be simple, like swapping apples for blackberries. However, with this information in your hand at the grocery store, you’ll notice a complete transformation in the way you shop and fill your plate. Ultimately, with GenoPalate you know what foods you should be putting in your body based on your genetics. Knowing which nutrients and foods are going to benefit you and help you feel your best is a huge advantage to overall health and wellbeing. Turns out, some of the foods we love the most might not be serving our health in a positive way. That’s why it’s important to eat according to your genes with GenoPalate! Order your saliva test kit or upload your DNA Data on the Genoplate website and make sure to use code TRAILTOHEALTH for up to $30 off your test!